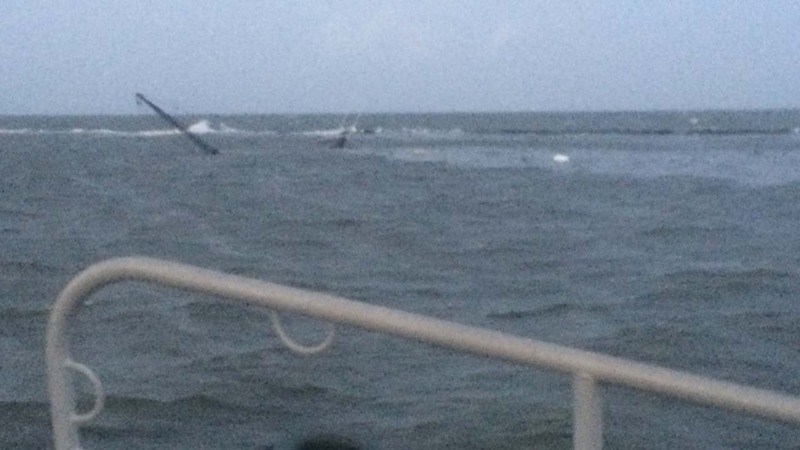 PORT ARTHUR, TX -- The U.S. Coast Guard has rescued three men whose shrimp boat sank in the mouth of the Sabine River near the Texas-Louisiana border. Coast Guard officials say 911 dispatch notified them around 4 a.m. Monday that the 28-foot shrimp boat "Captain Kevin" was taking on water. The Coast Guard's Sector Houston-Galveston launched a 45-foot rescue boat to help. The rescue boat arrived at the scene around 4:30 a.m. and found a debris field, determining that the shrimp boat had sunk. Officials say the rescue crew searched the area and found two men on some jetties and a third individual hanging onto a life ring. None of the three men were wearing life jackets. One of the men rescued was taken to an area hospital and treated for minor injuries.